“What is that?” Asked a curious voice as America Needs Fatima custodian Jose Ferraz stepped into the hotel elevator in Altamonte Springs, Florida. This is the Pilgrim statue of Our Lady of Fatima,” replied Mr. Ferraz, “I take Her to visit people in their homes to spread the Fatima message.” He then handed the woman, who was a maid at the hotel, America Needs Fatima’s most popular picture. As Mr. Ferraz listened, he learned that the woman, Maria Vegra, had a 22-year old son who had recently passed away after three weeks in the hospital due to a fatal injury received in a car accident. While in the hospital, a priest would visit him every day to administer Holy Communion. The priest consistently offered the sacrament to the neighboring patient of Maria’s son, another young man who was also in critical condition. The young man would say, “No. I don’t believe in God.” But the priest continued to offer salvation. “Let me hear your confession and give you Holy Communion and Last Rights,” the priest said, “it will save your soul and get you to heaven.” Time after time, the young man stubbornly refused. 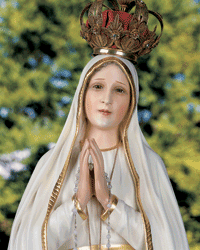 During the weeks of hospitalization and fruitless medical treatments, Maria had taken her son a picture of Our Lady of Fatima a friend had given her from an America Needs Fatima mailing. 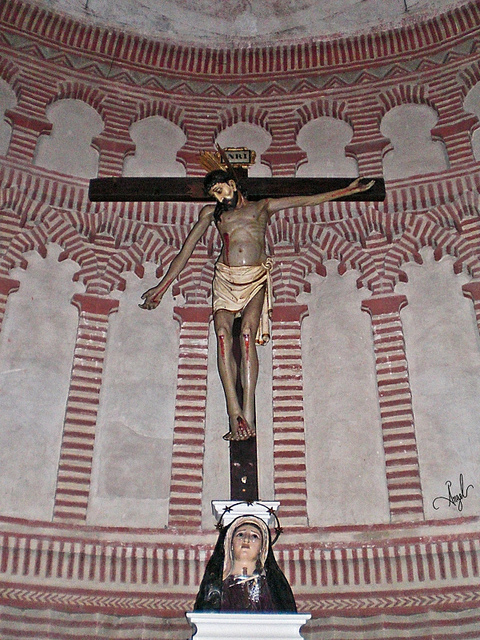 Surprised but willing, Maria placed the picture in the middle of the two suffering men. A few days later, the young man died a Catholic. With a simple picture of Our Lady of Fatima, God touched a heart and saved a soul.